The best meals are usually a serendipitous marriage of flavour and occasion. Not that I'm knocking fine dining, when a skilled chef proves cooking can be an art form. But occasionally, some transformative alchemy elevates a perfectly ordinary ingredient into an unforgettable culinary moment, thanks to the company, circumstance, or setting. Tortellini, bought from the Italian alimentare in Vignale, where I spent a week's summer school when I was fifteen, was memorable not just because, well, Italians really know how to make good pasta, but also because it was my first delicious taste of autonomy. The satisfaction of self-sufficiency added relish to an otherwise everyday dish. And whilst a fried egg sarnie might seem a rather mundane food to immortalise, I've never been able to replicate the perfect taste-nirvana of the breakfast my producer bought me from a 'greasy spoon' on Carnaby Street during my first TV edit job. Usually a porridge or fruit girl at that time of day, this perfect combination of fried egg, brown sauce, and floury white bap was a revelation to my healthy self (and instant medicine for the skull-crushing hangover I was nursing that morning). It was the first time I truly understood the curative power of food, and I can honestly say that no breakfast has ever tasted as good since. 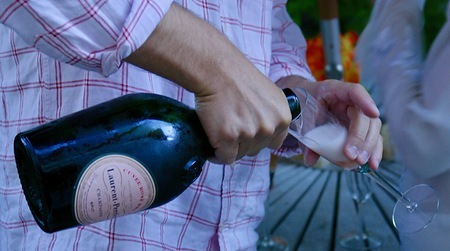 Pink champagne - always delicious - tasted particularly sweet as I took my first chilled sip after giving birth to my daughter, twelve years ago. I had been as obsessively virtuous about my diet whilst pregnant as only someone who has had two previous miscarriages would be, abstaining from all alcohol for the entire 43.5 week pregnancy (yes....she was very overdue!). After a two-day labour, followed by an emergency Caesarean and a blood transfusion, her safe arrival was a heady celebration indeed. Perhaps this alchemy of taste and occasion goes some way to explaining the appeal of the memorable crab pasties you can buy from a hole-in-the-wall at Steephill Cove on the Isle of Wight's sun-drenched south coast. Whether it's the briny smell of fresh crab, landed that morning by the Wheeler brothers, third generation fishermen at this sheltered cove. Or the shining faces of customers scurrying off, clutching precious paper bags of still-warm pasties, and trying to contain their drooling anticipation. Or the gently hypnotic sound of waves sighing over shingle that help elevate this relatively simple snack into something sublime. 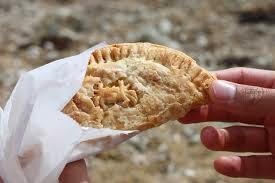 Whatever the secret of the Steephill crab pasty's gravitational pull, there's no getting away without one. Roll out the puff pastry and cut into appropriately-sized circles. Place pastry circles in the fridge for ten minutes. Meanwhile, melt butter in a saucepan and fry the leeks until they are well-softened. Add the saffron and its soaking liquid. Season with a little white pepper. In a mixing bowl, combine the crabmeat with the parsley, breadcrumbs, zest and lemon juice. Add the cooked leek mixture and mix to combine. Divide the crab mixture between the pastry rounds, laying a generous pile onto each half. Brush the pastry edges with a little egg before folding the half-moon of pastry over the meat, and sealing the pasty closed. Brush each pasty with egg and bake for 20-30 minutes until beautifully golden. Delicious served with watercress salad. 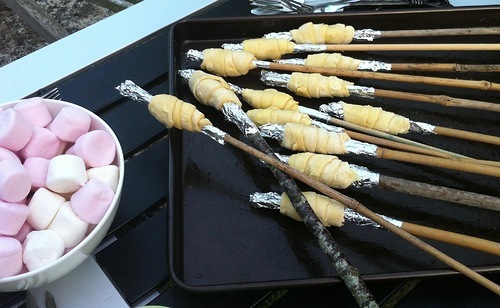 Or for authenticity, wrap in brown paper and nip to your nearest beach to consume.